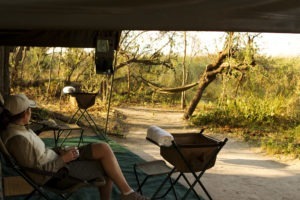 One of the most affordable camps in the Delta which has outstanding game-viewing and friendly staff. Located in the wildlife rich Khwai Community Trust Concession, Sango Camp is a great value for money intimate camp in a stunning location. 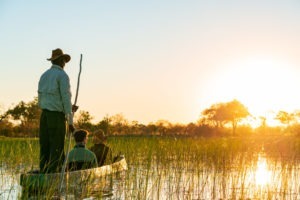 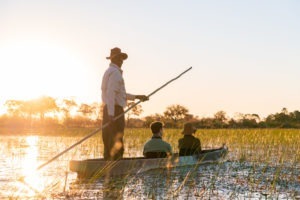 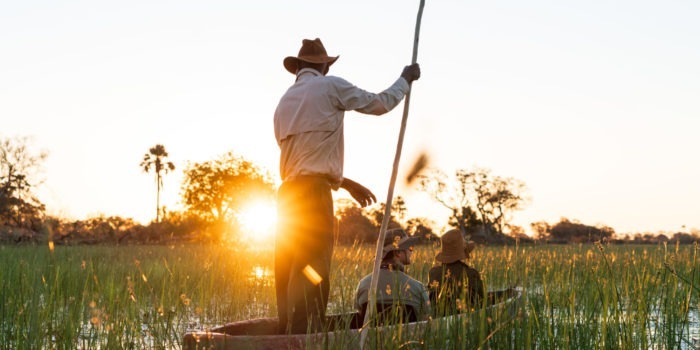 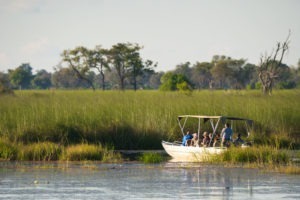 The Khwai Community Concession is situated on the border of the famous Moremi Game Reserve with the Khwai river being the boundary. 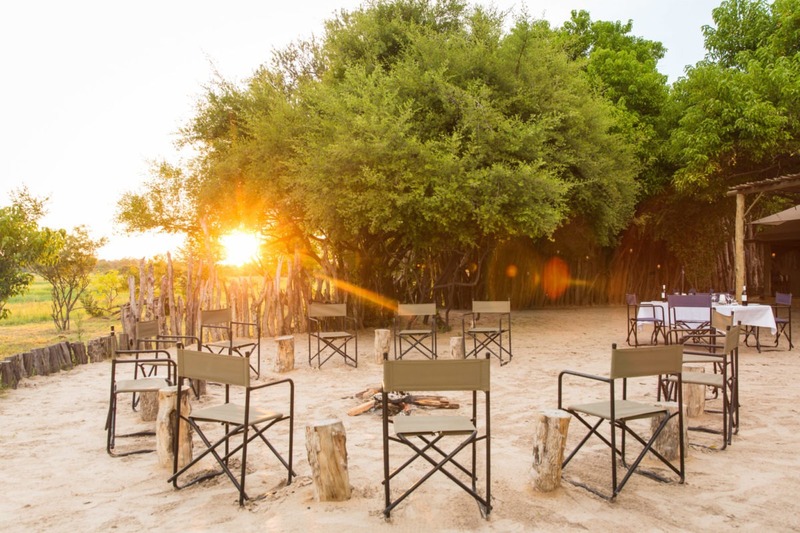 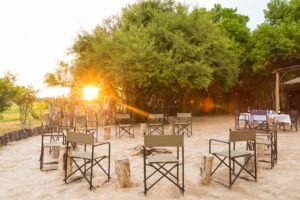 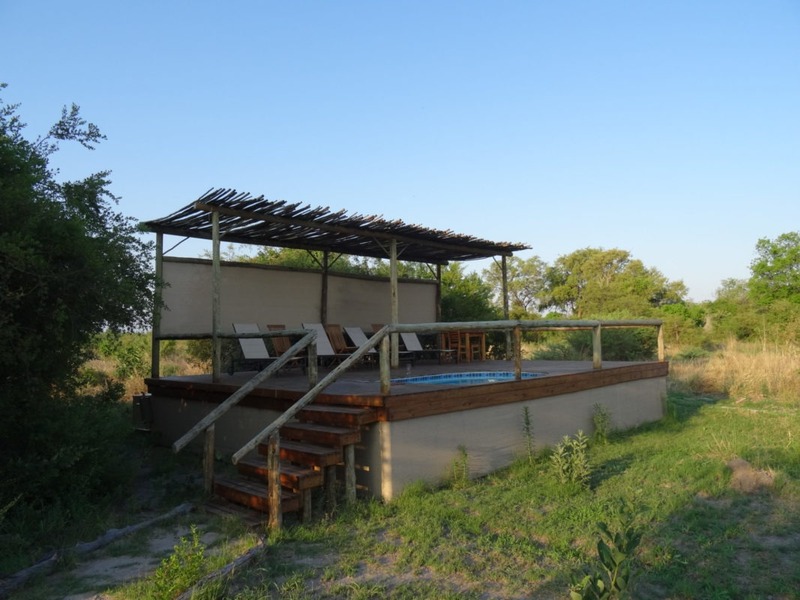 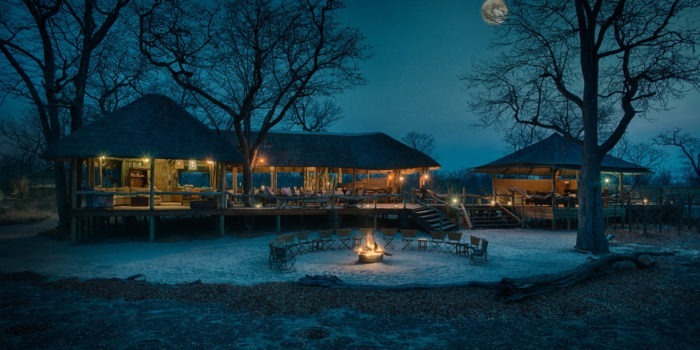 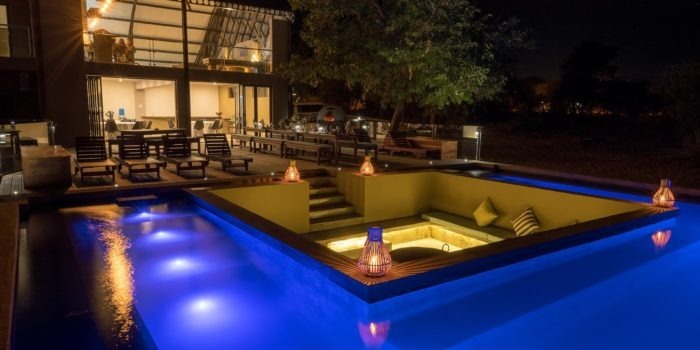 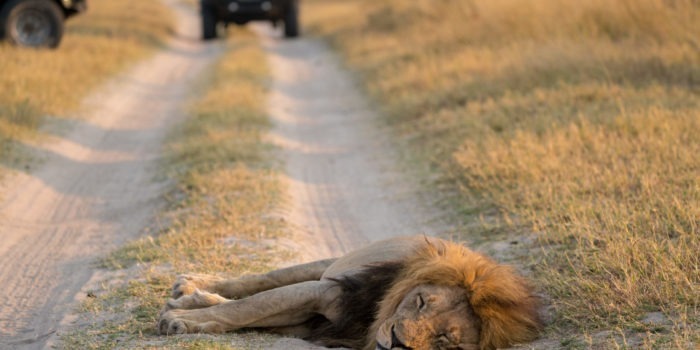 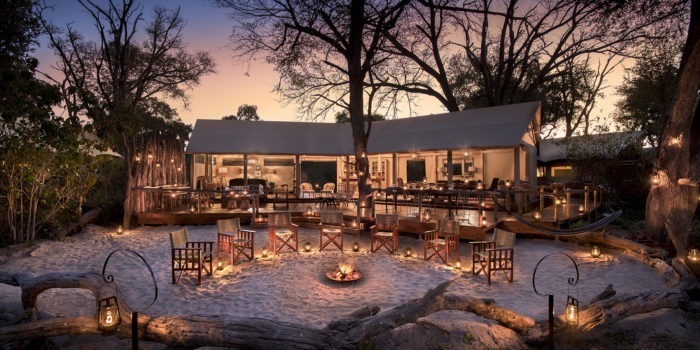 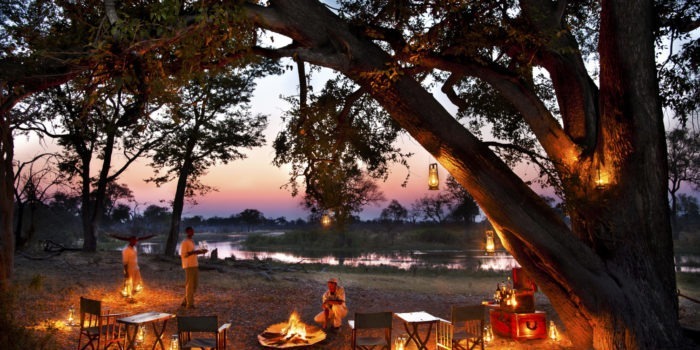 Sango Safari Camp is situated on edge of the Khwai river looking onto Moremi and has easy access into the reserve for game drives should you wish. 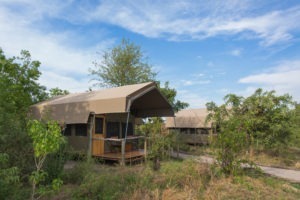 Just shortly behind the camp is the traditional Khwai village where locals still continue to live in this wilderness. 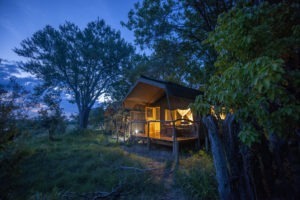 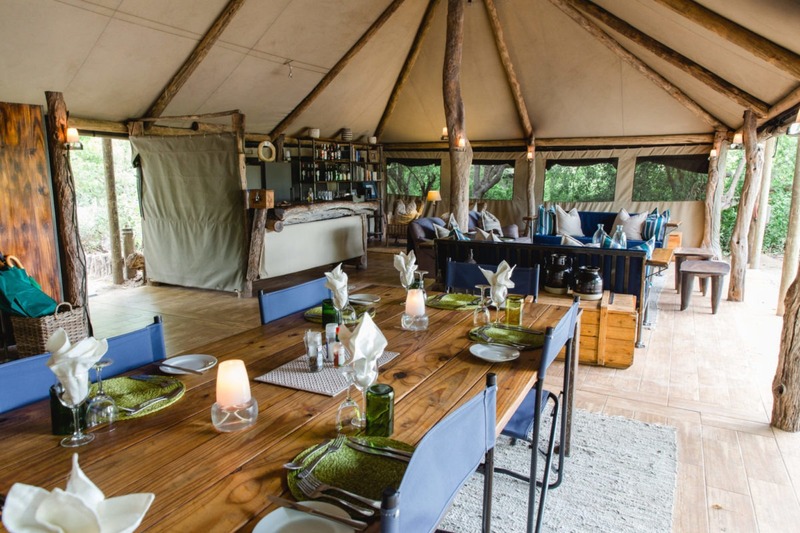 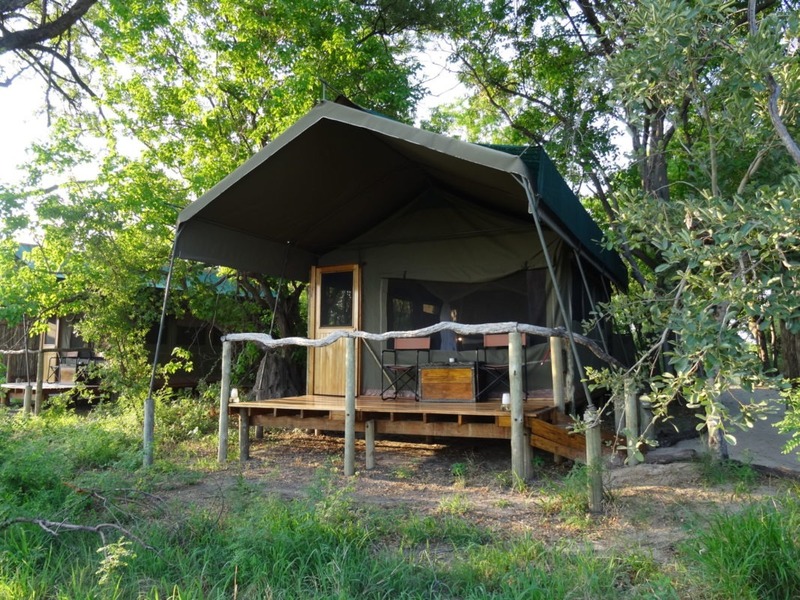 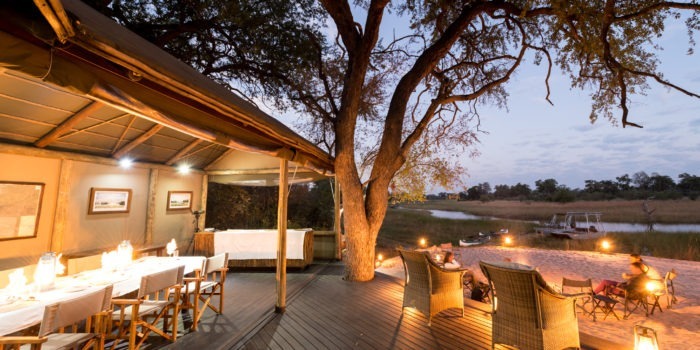 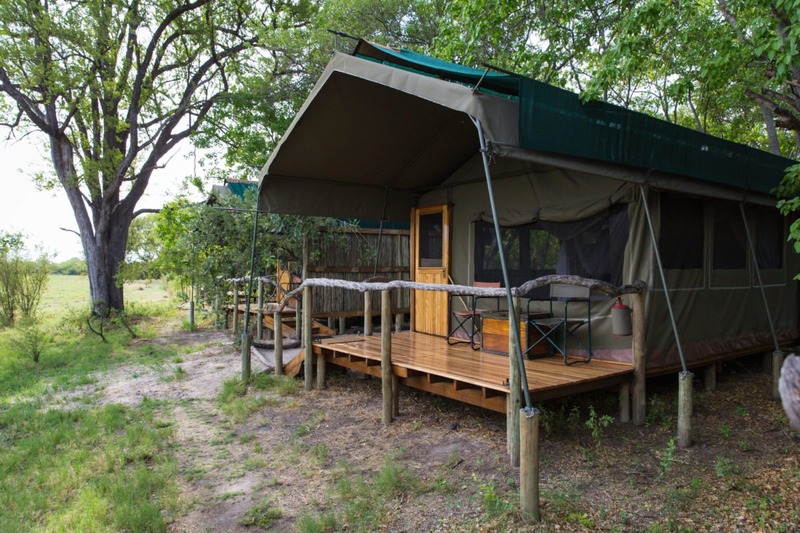 The camp itself consists of only 6 authentic and classic safari tents. 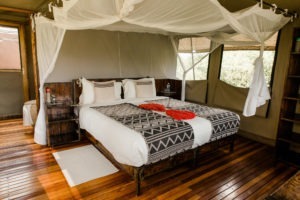 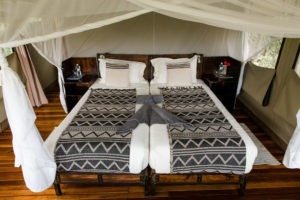 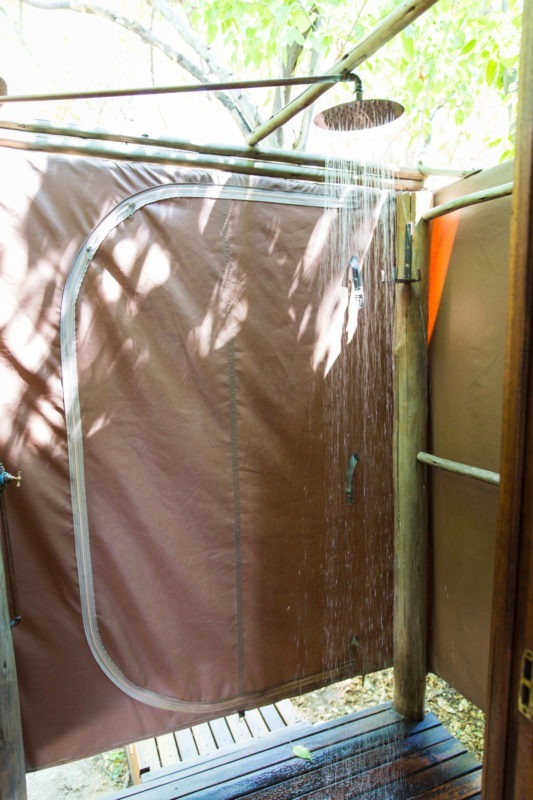 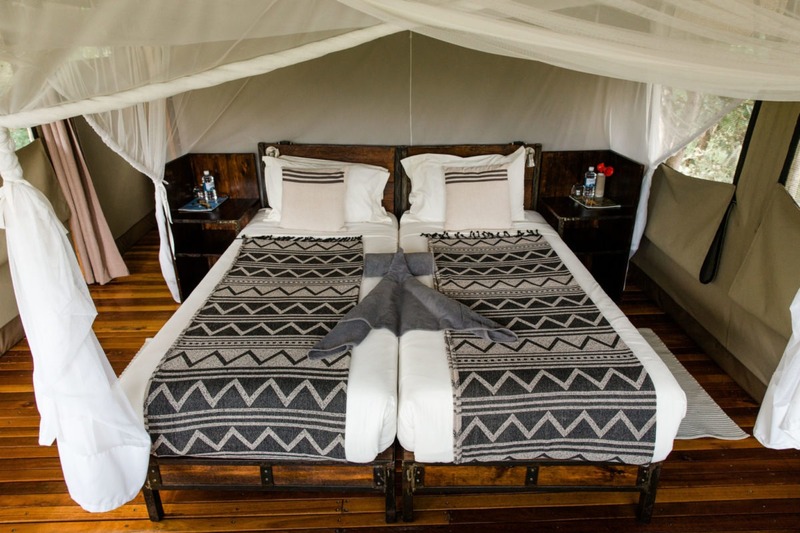 Each are spacious meru style tents which have flushing toilets and en-suite bucket showers. 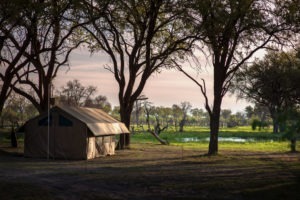 They all overlook the Khwai river and access to each tentis via a small natural pathway. 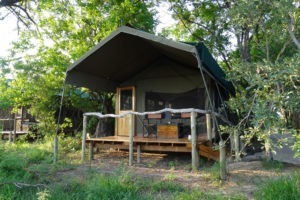 For safety you are escorted to your tents at night by the friendly staff. Sango, being located on a concession, offers a wider range of activities than National Park based camps. 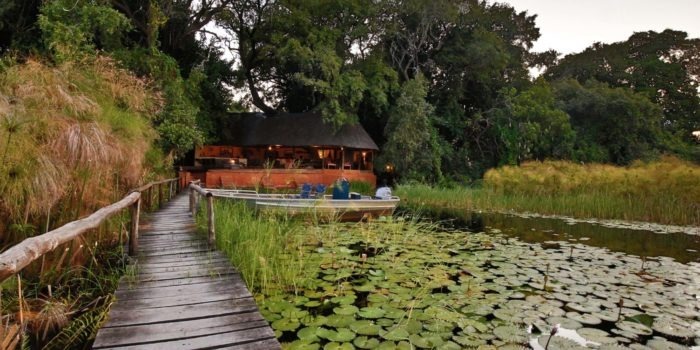 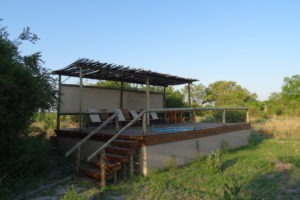 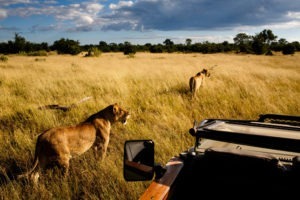 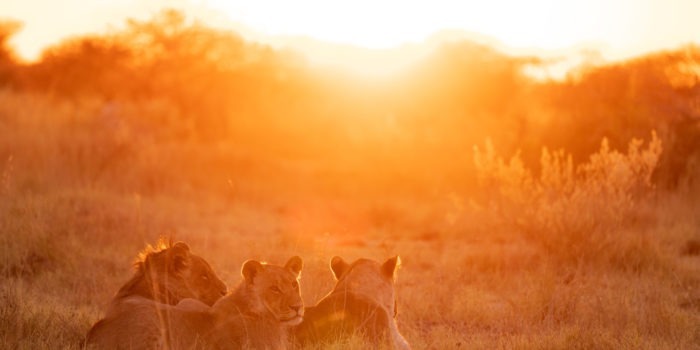 It offers both day and night drives, Moremi day trips, walking and mokoro safaris. 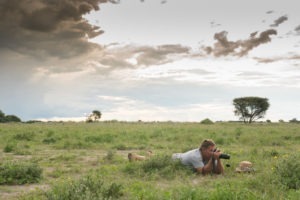 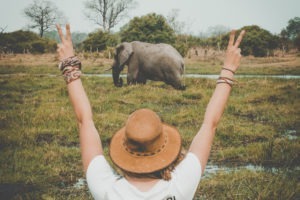 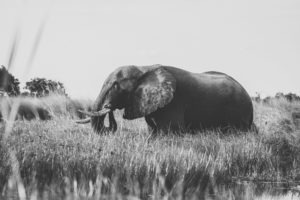 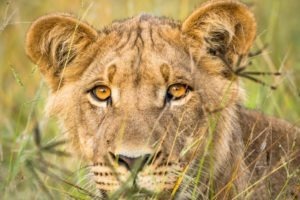 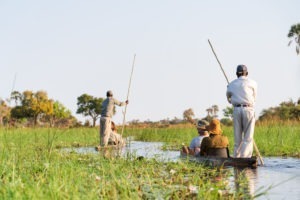 The wildlife viewing in Khwai is some of the best in the country, but it is important to note that because of its incredible wildlife, Khwai can become very popular and sightings are often shared. 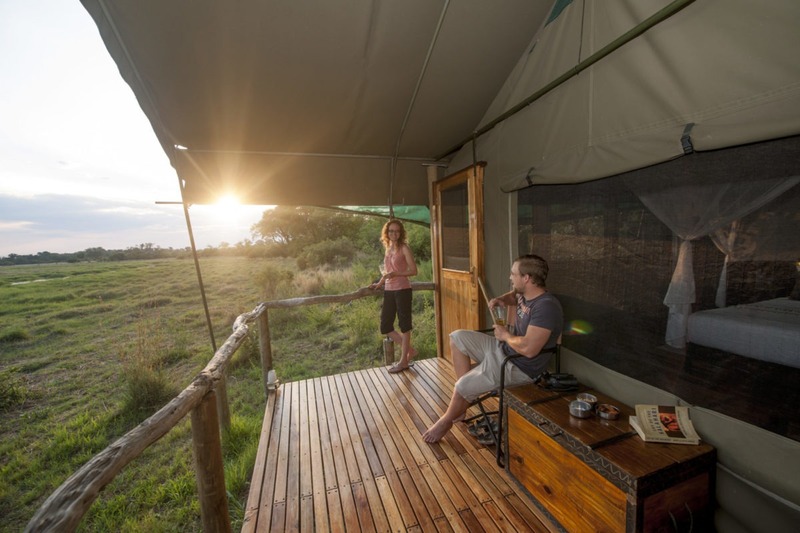 We would recommend this camp for travellers seeking to save costs whilst travelling Botswana or those who are unsure of Mobile Safaris. 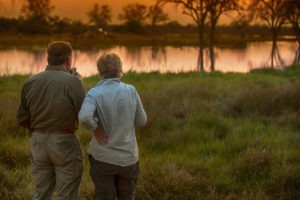 We would however recommend being escorted by a private guide to enhance the guided experience. 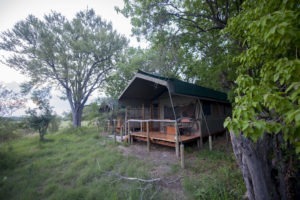 Affordable alternative to other lodges in the area. 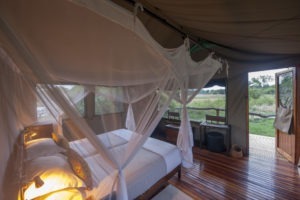 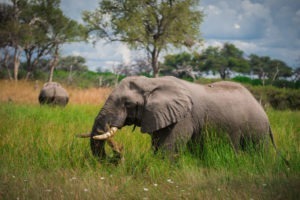 Within the Khwai area which has incredible game viewing. 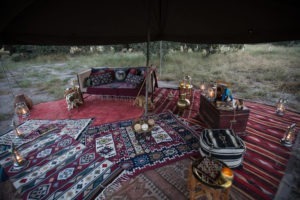 Fairly small and intimate camp. 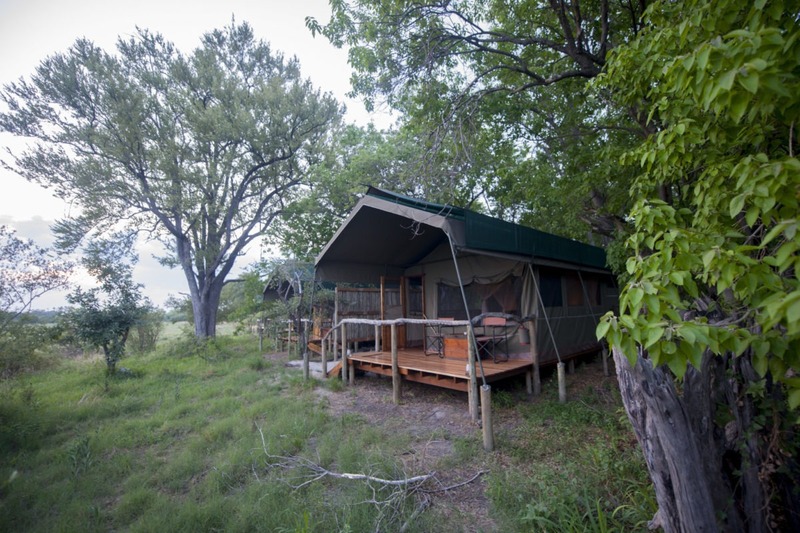 Great location on the river with a stunning deck with vast views. 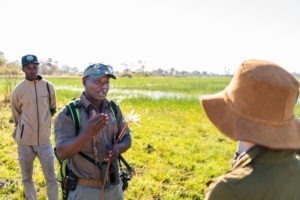 Large focus on community employment and projects.